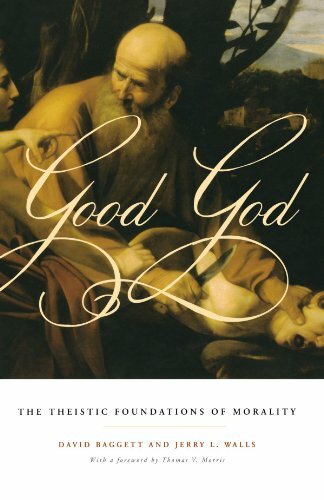 As a part of a larger project of defending an atheistic accounting of “robust ethics,” Erik Wielenberg has recently taken on such arguments and suggested a model for reconciling an evolutionary account of morality with his view that morality is objective (even “robust”). One assumption of my argument so far has been that unless there is a direct connection between the reproductive advantage of our moral beliefs and their truth--so that their being true is responsible for their being fitness conferring--then we’ve no reason to assume their truth. But as Nagel says, “value realism” is like an unattached spinning wheel. It does no such explanatory work, and so we are left merely with the view that we have the moral beliefs we do because of their reproductive advantage--they have been fobbed off on us by our genes, as Ruse says. Wielenberg instead posits an indirect connection that is routed through a “third factor”-- a set of evolved human cognitive faculties (e.g., reason). It is plausible that certain cognitive faculties have evolved because they confer fitness upon their possessors. Further, there is “wide agreement” that “if rights exist at all, their presence is guaranteed by certain cognitive faculties.” Suppose, then, that there are rights and that such rights are based upon those cognitive faculties. It will follow that any creature with such cognitive faculties possesses rights, and any such creature who exercises those faculties to believe There are rights believes truly. This, of course, is because having the cognitive faculties is both necessary for having the belief and sufficient for having the rights. In this way, the relevant cognitive faculties are responsible for both moral rights and beliefs about those rights, and so the cognitive faculties explain the correlation between moral rights and beliefs about those rights. This is a neat way of explaining how evolution might ultimately be responsible for our having true moral beliefs, even if those beliefs are about non-natural truths. Does it succeed? Wielenberg is entitled to the assumption of rights due to the rhetorical context of his argument. After all, I and others have argued that there would not be moral knowledge even if there were moral truths, and so his strategy--positing some moral truth and determining whether it could be known given the conditions laid down--is the natural way to proceed. And his proposed model is, so far as I can tell, internally consistent. After all, if our cognitive faculties are a product of our evolution, and if having such faculties is sufficient for having rights, then anyone capable of believing that there are rights is in possession of both the faculties and the rights. But one wonders whether the assumption is safely lifted from the paper and transferred to the world itself. Indeed, there are two assumptions at work: there are rights, and rights are based upon the possession of certain cognitive faculties. Wielenberg cites “wide agreement” regarding the connection between those faculties and the possession of rights. But the entrenched evolutionary skeptic might suggest that our belief in rights is just a part of that fobbed-off illusion. When Bertrand Russell appealed to “wide agreement” regarding certain moral beliefs, George Santayana replied--no doubt with Darwin in mind--that such appeals are little better than “the inevitable and hygienic bias of one race of animals.” Further, given the background assumption of evolutionary naturalism, we might expect that such faculties themselves emerged as an evolutionary solution to the problem of survival and reproduction. As such, they are of instrumental value as a means to such ends, much like opposable thumbs. Can we rest the case for the intrinsic value of persons upon their possession of extrinsically valuable properties? Human rationality is certainly good for humans just as arboreal acrobatic skills are good for rhesus monkeys, but beyond bald assumptions, does Wielenberg’s view provide the conceptual resources for thinking that it is a good in itself as would seem to be required for it to do the work assigned to it? Wielenberg’s strategy may go some distance towards reducing the improbability of our possessing moral knowledge given the emergence of rational and moral agents who have both rights and a tendency to believe that they do. But the model in itself fails to address a more astonishing cosmic coincidence to which Santayana pointed in his critique of Russell. As an atheist and naturalist, Russell famously said, “Man is the product of causes that had no prevision of the end they were achieving.” The forces of nature are not goal-oriented, and we should not think of the emergence of homo sapiens as the achievement of cosmic purposes. We are here because nature “in her secular hurryings” happened in at least one corner of the universe to throw spinning matter into the right recipe for things such as ourselves to form. But at the same time, Russell defended a view of morality that includes objective and intrinsic values--a form of Platonism not far from Wielenberg’s robust ethics. Santayana argued that these two commitments are mutually at odds. As he saw, Russell’s moral philosophy implied that “In the realm of essences, before anything exists, there are certain essences that have this remarkable property, that they ought to exist, or at least, that, if anything exists, it ought to conform to them.” But Russell’s naturalism--and rejection of cosmic purpose--implies, “What exists…is deaf to this moral emphasis in the eternal; nature exists for no reason.” It would be marvelous indeed if, in the accidental world that Russell described, the very things that ought to exist should have come to be. It would be as though among the eternal verities a special premium had forever been placed upon, say, conscious moral agents, and, despite the countless possibilities, and because of sheer dumb luck, the same had been fashioned and formed of Big Bang debris. Presumably, Beings with cognitive faculties have rights is a necessary truth--if a truth at all--and, as such, it was inscribed in the Platonic empyrean long before the Big Bang. How astonishing it seems that such things with that “remarkable property” of being such that they ought to exist--should have appeared at all when the things responsible for their emergence had no prevision of such an end. Did we win the cosmic lottery? Santayana observed that at least Plato had an explanation for such things because the Good that he conceived was a “power,” influencing the world of people and things so that the course that nature has in fact taken is determined at least in part by moral values. It is for such reasons that Thomas Nagel has posited the idea that “value is not just an accidental side effect of life; rather, there is life because life is a necessary condition of value.” Nagel’s good is a power, unlike Russell’s, and as such it plays a role in explaining the moral shape that the world has taken. But presumably no such moral guidance was at work in Wielenberg’s universe, seeing to it that portions of the material world should be fashioned and formed into moral agents. Yet here we are! I think this point remains despite Wielenberg’s further ruminations on whether Darwinian Counterfactuals are, in fact, likely or even possible. He suggests that if physical law does not strictly require that emergent moral agents should have developed moral sensibilities something like our own, so that evolution would naturally narrow the range of possible outcomes, it is highly likely--at least “for all we know.” Daniel Dennett has suggested that there may be certain “forced moves” in evolutionary design space. For instance, given locomotion, stereoscopic vision is predictable. Wielenberg seems to be suggesting a forced move of his own. But both moves are forced--if at all--only once certain conditions are in place. Nagel has a relevant observation here on precisely the example Dennett cites. Once conscious organisms appear on the scene, we can see how it would go. For Example … certain structures necessarily have visual experience, in a sense that inextricably combines phenomenology and capacities for discrimination in the control of action, and that there are no possible structures capable of the same control without the phenomenology. If such structures appeared on the evolutionary menu, they would presumably enhance the fitness of the resulting organisms.... But that would not explain why such structures formed in the first place. Even if we think it likely that the evolution of moral agents such as ourselves should drop into a predictable groove, we are still left to explain why the natural world should be deeply structured in such a way that its natural processes and algorithms should produce such agents at all. The whole thing is quite wonderful, and without the guidance of God, a Platonic demiurge, or Nagel’s guiding values, it seems an astonishing bit of luck. It adds an additional epicycle of coincidence to the so-called “anthropic coincidences” in that not only have we beat astonishing odds simply by arriving on the scene--because of the mind-boggling improbability that the universe should have permitted and sustained life of any kind--but that it is also the achievement of ends eternally declared to be good and morally desirable by necessarily true but causally impotent moral standards. It is a called shot, but without a Babe Ruth to place it. To base one’s argument on an assumption that defies such odds seems a bit like planning one’s retirement on the assumption that one will win the lottery. One might suggest that Wielenberg help himself to the additional unjustified assumption of Nagel’s causally effective guiding values, for this would fill a void in his view, and anyone with the liberality to grant the one (i.e., rights) is likely to grant the other. To illustrate, suppose we notice a strong--even exceptionless--correlation between chilly weather and the turning of fall leaves. But suppose we are told that the chill in the air is not the cause of the colorful leaves. But then we consider a third factor--the earth’s tilt from the sun resulting in both less light and colder weather--which is responsible for both the color (due to the light) and the chill. Bertrand Russell, “A Free Man’s Worship,” in Why I Am Not a Christian and Other Essays (New York: Simon and Schuster, 1957), p. 107. George Santayana, Winds of Doctrine and Platonism and the Spiritual Life (New York: Harper and Brothers, 1957), p. 153. “Plato attributes a single vital direction and a single narrow source to the cosmos. This is what determines and narrows the source of the true good; for the true good is that relevant to nature. Plato would not have been a dogmatic moralist had he not been a theist.” Santayana, Winds of Doctrine, p. 143. Thomas Nagel, Mind and Consciousness, p. 116. Daniel Dennett, Darwin’s Dangerous Idea (New York: Simon and Schuster, 1995). Nagel, Mind and Cosmos, p. 60. Image: "Darwin" by I. Dolphin. CC License. In reading a review on NDPR of C. Stephen Evans' book God and Moral Obligations (http://ndpr.nd.edu/news/41665-god-and-moral-obligation/), I found the author’s (Terrence Cuneo) argument to be strong ones against Evans’ proposed solutions to the "prior obligations" objection to DCT. It seems that even on a DCT, moral obligations still seem to have some unconditional "oughtness" about it. I always thought that the strength of a DCT versus a non theistic robust ethic view (perhaps like Wielenberg's) was that a DCT was able to explain the unconditional "ought" of moral obligations. For if moral obligations were brute facts, then the question "why should I love my neighbor" is answered by "because it's simply the right thing to do," and then if someone were to ask, "why is it the right thing to do? ", the final answer would be: "because it just is." I thought the advantage a theist has is that he can say that an action is right because God commands that it is right, which on the surface sounds like it provides a wider explanatory scope compared to the "it just is" answer. However, the prior obligation objection seems to ask the question "Why should I obey God's commands" and it would seem like we have a separate obligation (apart from the Will of God), to obey his commands (as the reviewer points out). Thus, it would seem like a theistic component to explain moral obligations might not be better off than the robust ethicist’s view. What are your thoughts on this? I understand that you've been reviewing Evan's book on the website. I've found the site to be encouraging BTW, thank you so much for contributing to the body of Christ! Great question, thanks for sending it along! You are not the first to point to this part of Cuneo’s review and to express concern about this aspect of divine command theory. Evans’ book is fantastic, and the prior obligations objection to DCT is indeed interesting, although it doesn’t, to my thinking, pose an intractable objection. I’ll try to explain why. On the surface there’s certainly an issue to deal with. If DCT provides an exhaustive theory of moral obligations, and we have an obligation to obey God, then our obligation to obey God to obey God comes from our obligation to obey God. This is circular, so something has gone wrong. What should we say about this? Two of this site’s contributors, friends Matt Flannagan and Paul Copan—who collaborated on a terrific book entitled Did God Really Command Genocide?—deal with this objection (pp. 165-67). They note the objection goes back to Mackie and, before him, Cudworth. They note a few problems with the argument. First, they note, it generalizes, and as such would apply “to every account of moral obligations within any given ethical theory, secular or theological.” One example they adduce is social contract theory. “According to a social contract view, moral obligations are those requirements that rational, impartial persons in a society would agree to. But Cudworth (and Mackie) could argue that one is morally obligated to such a contract only if there is already an obligation to follow such hypothetical agreements. So the hypothetical agreement can’t itself be the source of moral obligations.” See their point? I think this is an excellent insight. In this way we could say the objection, if it were to hold, would show too much. 2 There is an obligation to do what God commands. Even if we don’t have a prior obligation to obey God’s commands, that wouldn’t mean we don’t have moral reasons to obey God. Not all moral reasons are duty-related. Something being morally good, for example, gives us moral reason, perhaps even compelling moral reason, to do it, even if we don’t have a moral obligation to do it. This is one among several other sorts of replies one can give. Among others Evans mentions include that God does actually command us to obey his commands, after he’s established his moral trustworthiness; or, even if the objection were to work, divine commands could still be sufficient to general moral obligations without being necessary; or that the prior obligation to obey God’s commands is a nonmoral ought. Consider Wielenberg's own view concerning moral reasons. According to this view, when an agent has decisive moral reason to act in some way, then that agent is morally obligated to act in that way (7; cf. 52). In one place, Wielenberg claims that "to have an obligation just is to have decisive reasons to perform a certain action" (57). There are two ways to understand this position. According to the first -- call it the unqualified view -- a limited range of normative facts, such as moral and prudential facts, favor or justify responses of certain kinds. If this view is correct, when a moral fact favors or justifies the performance of an action, then there is a moral reason to perform that action. However, under this view, the term "moral reason" does not designate a special type of favoring relation, namely, the moral favoring relation that a moral fact bears to a response of a certain type. Rather, it designates a state of affairs in which there is a moral fact that bears the favoring relation to a given type of response (or, alternatively, it designates a moral fact that bears the favoring relation to a given type of response). Now distinguish two variants of the unqualified view. According to the first variant, moral obligations determine moral reasons. This variant, however, cannot be the view that Wielenberg accepts, since his position is not that moral obligations determine moral reasons but that moral reasons either determine or are identical with moral obligations. According to the second variant, moral obligations just are decisive moral reasons. This variant of the view avoids the problem just stated. … But it is not easy to understand. This view implies that the state of affairs that consists in some moral fact M decisively favoring a response is a moral obligation. But M cannot itself be a moral obligation, for no complex state of affairs could have M as a constituent and be identical with M. It is not apparent, however, what other sort of moral fact M could be. Now consider the second understanding of Wielenberg's position. Under this position -- call it the qualified view -- the term "moral reason" designates a special type of favoring relation, namely, the moral favoring relation that something could bear to a response of a certain kind. This relation is just one of many such relations. In fact, according to this view, every system of norms generates and entails a correlative set of reasons: norms of etiquette generate etiquette reasons; norms of chess generate chess reasons; norms of the Mafia generate Mafioso reasons; norms of morality generate moral reasons, and so on. If this view were correct, it trivially implies that if we are morally obligated to refrain from acting in a given way, then there is a moral reason for us to refrain from acting in that way. Unfortunately, this position also trivially implies that if we are "Mafioso required" to refrain from a given action, then there is a Mafioso reason to refrain from performing it. While this position might be able to explain how moral obligations are grounded in (or are identical with) moral reasons, it implies nothing regarding the normative weight of these reasons and the obligations they determine (or are identical with). Instead, it invites us to ask the higher-level question whether we have reason to act on the qualified reasons we have. In brief, I see no compelling reason to think the prior obligations objection should be construed as evidence that (secular) robust realism provides as good an explanation of objective moral obligations as does classical theism and divine command theory. On this week's episode, we get a special preview of Dr. Baggett and Dr. 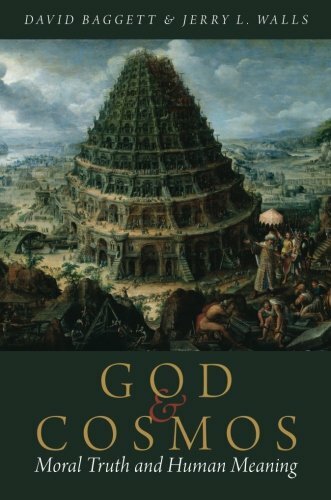 Walls' upcoming book, God and Cosmos: Moral Truth and Human Meaning. In the first part of a two part series, Dr. Baggett takes on a wide array of secular ethical theories and explains how each fails to provide an adequate explanation for human value and dignity. In part 2, we take aim at the views of Erik Wielenberg. Dr. Wielenberg is a top-notch philosopher and atheistic moral realist. His new book, Robust Ethics, is a serious piece of philosophy. Nevertheless, Dr. Baggett has some objections about Wielenberg's view as it relates to human value. And we’ll be hearing those objections this week. Photo: "Collapsed" by G. Fornaro. CC License.